It may seem like just a ride through a video game with "Toy Story" characters in it, but Midway Mania is a lot more than that, a technological marvel that integrates state-of-the-art ride mechanisms with elaborate gaming systems. Get the inside skinny on how the Disneyland and Walt Disney World versions all work and, most importantly, how you can improve your score playing the game. In what will probably be the most heavily attended presentation of the weekend, John Lasseter, the man who helped bring animation into the 21st century and the guiding force behind ten straight quality hit movies, will hold court in the D23 Arena, previewing not only what's in store for Pixar, but also what's waiting in the wings for Disney Animation. There'll be clips from "The Princess and the Frog," "Rapunzel" and "Toy Story 3" to be sure, but the main attraction will be the man himself. 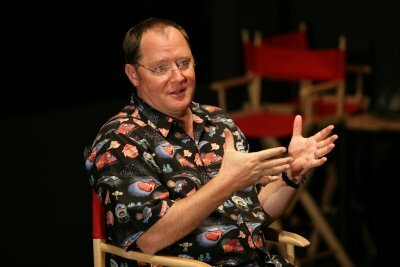 Lasseter is highly regarded by Disney fans, and deservedly so--he was a Jungle Cruise skipper, for God's sake! Don't miss what he has to say. A couple of years ago, I had the chance to meet Ron DeFore and had the most fascinating conversation with him about the early days of Disneyland. Here's a guy who, with his brother David, literally grew up at the Magic Kingdom where his father, TV personality Don DeFore ("The Adventures of Ozzie and Harriet," "Hazel") operated his own restaurant. There'll be plenty of tales told about Walt and Disneyland at this session, a fun and fanciful trip through the wayback machine. There's not a lot of background information on this presentation, making it all the more intriguing. 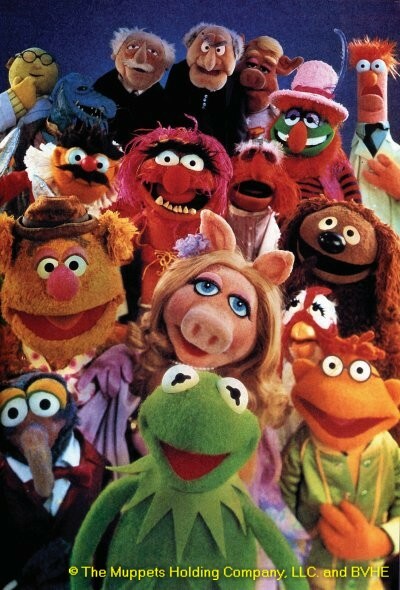 Disney hasn't exactly done a lot with the Muppets since taking them over from The Jim Henson Company in 2004. Goodness knows "MuppetVision 3D" could use some freshening up. In August, promotional videos were shot at Disneyland featuring the Muppets, so it appears Disney is looking to give them a higher profile. Also, a new theatrical Muppet movie has supposedly been in the works for a while. Will it finally be time to put on makeup and light the lights again? Fingers crossed. Mickey Mouse meets the "Antiques Roadshow" when Disneyana expert Tom Tumbush shares tips on figuring out the value of your Disney collectibles. He'll even be available after the presentation to take a look at your old school memorabilia to see if you have any hidden Disney treasures. Boy, produce ten straight animated hit movies and suddenly they want to build rides about them. Pixar has inspired a number of attractions at the Disney theme parks, including Toy Story Midway Mania, Buzz Lightyear Astro Blasters, the Finding Nemo Submarine Voyage and the upcoming Cars Land in Disney's California Adventure. John Lasseter returns, this time with a group of Pixar peeps and Disney Imagineers, to talk about what other Pixar projects are being developed. 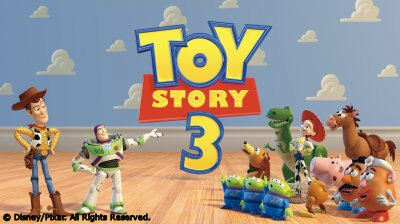 The first two "Toy Story" films have been retooled in 3D, which will not only create synergy with next year's "Toy Story 3(D)" but also a mountain of cash for Disney/Pixar. These back-to-back presentations will be the first public showings of the original movies in 3D (they hit theaters on October 2nd) and a sneak peek of "TS3," which will tell the story of what happens to Woody and Buzz and company when their owner Andy grows up. Alrighty then, that finishes my take on all four days of presentations and previews at the D23 Expo. It all starts Thursday with an estimated 30,000 - 40,000 attendees through the weekend. The complete schedule can be found on D23's website. Tomorrow, I'll have more on the can't-miss pavilions to see at the Expo and, don't forget, live updates all week on Facebook and Twitter.